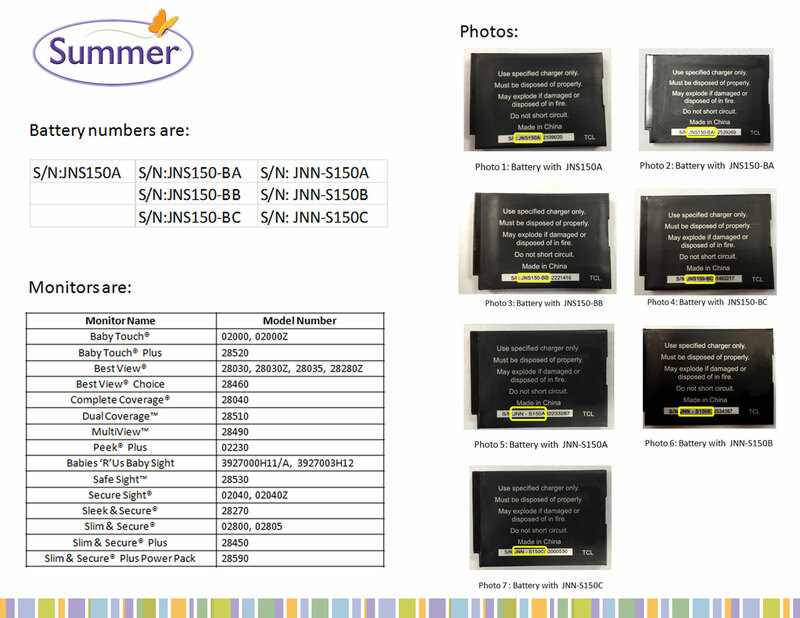 WASHINGTON — Hundreds of thousands of baby video monitors from Summer Infant have been recalled because of potential problems with rechargeable batteries. The recall affects 15 different models sold at stores between February 2010 and the end of 2012. The batteries can overheat, potentially causing a burn hazard.